Always flattered to be a part of the Grab the Lapels blog tours because Melanie Page is doing such wonderful things to get women writers the exposure and attention they deserve. In today's blog tour post, Desiree shares an excerpt from her novel The Amado Women, then breaks down the excerpt, sharing some insights. 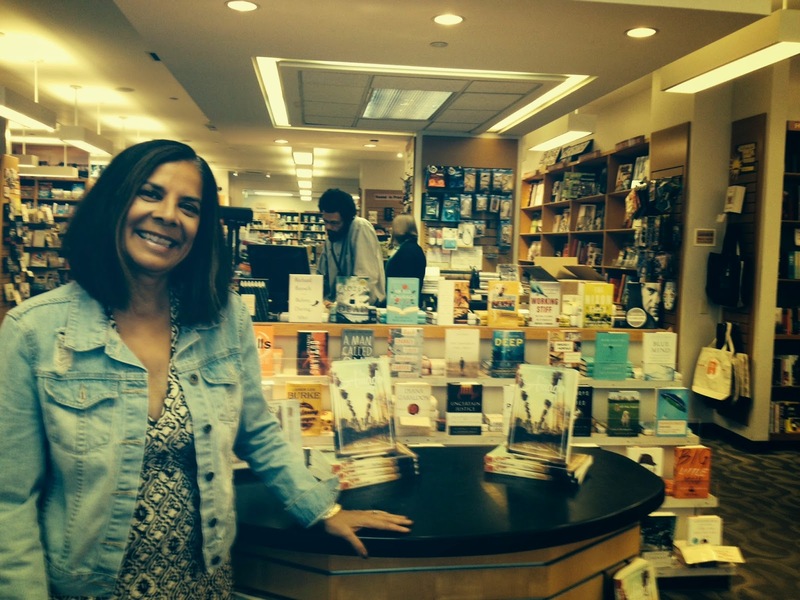 Today is the second stop of Désirée Zamorano’s virtual book tour celebrating her new novel. Mercy Amado has raised three girls, protecting them from their cheating father by leaving him. But Mercy’s love can only reach so far when her children are adults, as Sylvia, Celeste, and Nataly must make their own choices to fight or succumb, leave or return, to love or pay penance. When tragedy strikes in Sylvia’s life, Mercy, Celeste, and Nataly gather support her, but their familial love may not be enough for them to remain close as the secrets in their histories surface. Forgiveness may not be accepted. Fiercely independent, intelligent, they are The Amado Women. And she would too. She did everything she said she’d do. People like that, like Celeste, were fierce and frightening. But not to Nataly. She knew Celeste had constructed and surrounded herself in a plaster artifice. It was difficult to look at this Celeste. She wasn’t real. Nataly watched her mother unwrap Celeste’s gift: a necklace with a glass pendant. The glass glowed with a light Nataly had not seen before. It swirled green and blue, streaked with gold. It was luminous. Nataly’s frame was crude and artless in comparison. “So you’re against me too,” Nataly said, wiping her shirt with a wash cloth. The wet cloth left white fibers and an unattractive smear of water behind. Mercy looked around the table at her daughters: Celeste with her spiky brown hair and serious eyes. Sylvia, the curvy mama who had given her grandchildren, Nataly, the artist, the minx. Their windowside table was filled with a view of the terrace. The marine layer obscured the beach and the sea beyond. It didn’t matter to Mercy. Where your heart lies, there lies your treasure also. Her treasure was seated at this table.
. The setting is the Ritz Carlton in Laguna Beach, California. Mercy, although perhaps not the most sophisticated, is all about glamor, and she chose this spot, far for all of them to get there, to celebrate her 60th. I thought this setting embodied her aspirations. The scene of the four women interacting moved in and out of the drafts--but ultimately it seemed a wonderful way of displaying their interactions and tensions early in the book.
. Nataly, as a waitress, has a keen eye for good and poor service. Although not specifically named in the book, Nataly also has synesthesia; in other words, her senses work differently from most of us. Kind of like reading auras, she sees the colors of the energy or emotions around people and objects. The sugar, the setting, have lulled her into an almost calm moment, shattered by Celeste’s benign comment.
. Here I wanted to display Celeste’s sophistication. The object is beautiful, and the reader knows that Celeste is a world traveler.
. Nataly takes everything Celeste does personally--and has been wounded by what she now perceives as the inadequacy of her own birthday gift to her mother. I thought this was quite a universal feeling, the sense of not measuring up, and honed it for Nataly, who, in the manner of the immature, just continues to self-sabotage.
. Sylvia, as the middle child, is trying to lighten the moment. Nataly, so offended by Celeste, lets Sylvia’s words roll right off of her. And Nataly is never ever offended by Sylvia, because she has never felt wounded by Sylvia.
. How can one daughter be winning and another lose? Nataly is in a competition with Celeste, a competition that Celeste is unaware of, and one in which Nataly is keeping score. This really is about Nataly’s sense of abandonment.
. Here I wanted to help the reader see how Mercy perceives her daughters, and how much she is oblivious to the undercurrents, and yet passionately loves them all. The scripture quotation hints at the subtle religious elements in the novel. Follow along with the blog tour! Tomorrow, stop by [PANK] blog to read an interview with Désirée about The Amado Women. Also, check out yesterday’s stop at the blog PhD in Creative Writing. 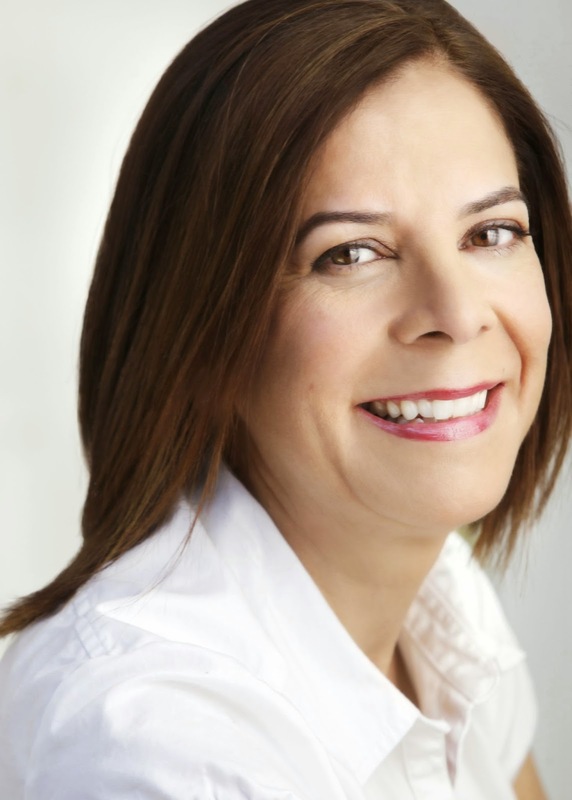 Désirée Zamorano is Pushcart prize nominee, and award-winning short story author, Désirée has wrestled with culture, identity, and the invisibility of Latinas from early on, and addressed that in her commentaries, which have appeared in the Los Angeles Times and NPR's Latino USA. She delights in the exploration of contemporary issues of injustice and inequity, via her mystery series featuring private investigator, Inez Leon (Lucky Bat Books). Human Cargo was Latinidad's mystery pick of the year. The Amado Women has been listed among 5 Must-Read Books for Summer 2014 by Remezcla, and has been named among Eleven Moving Beach Reads That'll Have You Weeping in Your Pina Colada by Bustle. It was selected as the August 2014 Book of the Month for the Los Comadres & Friends National Latino Book Club.